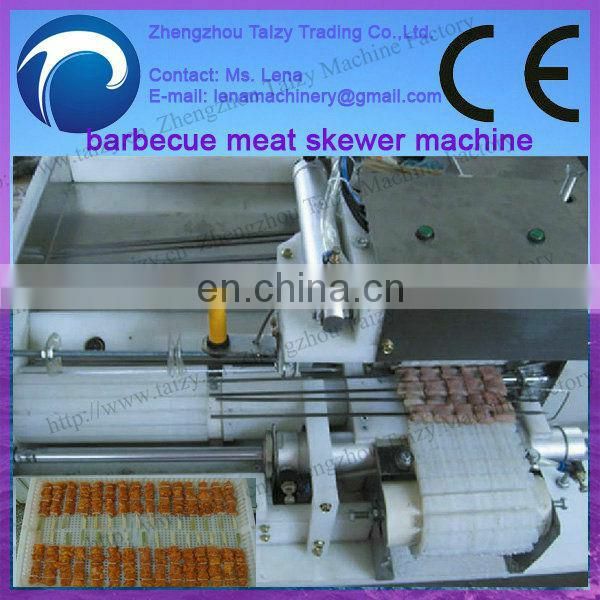 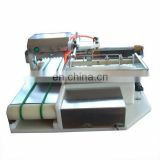 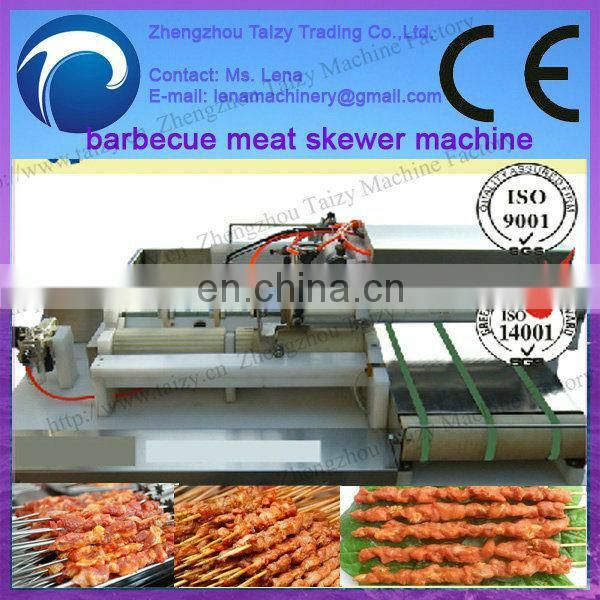 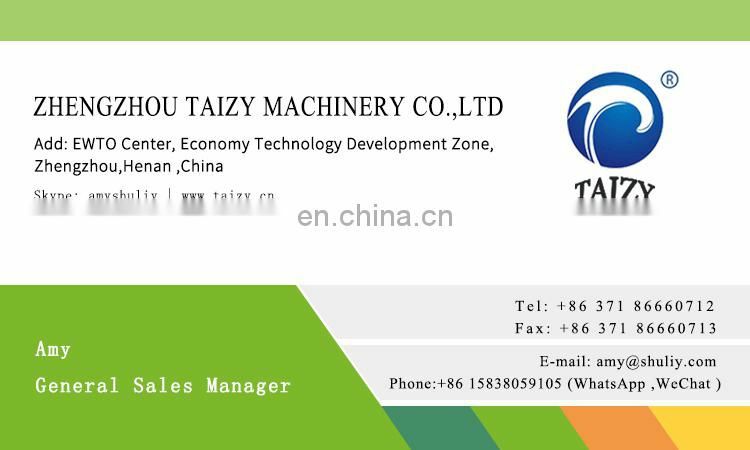 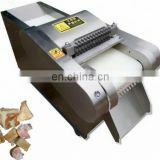 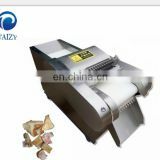 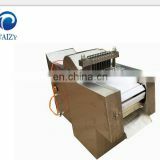 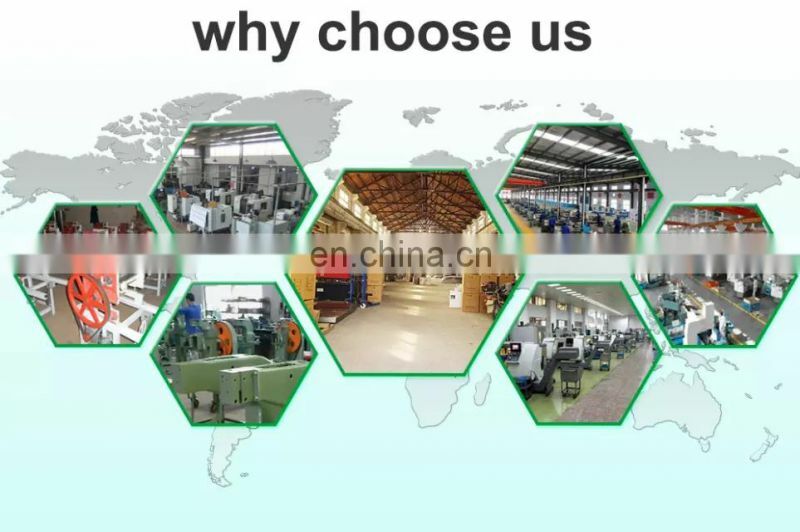 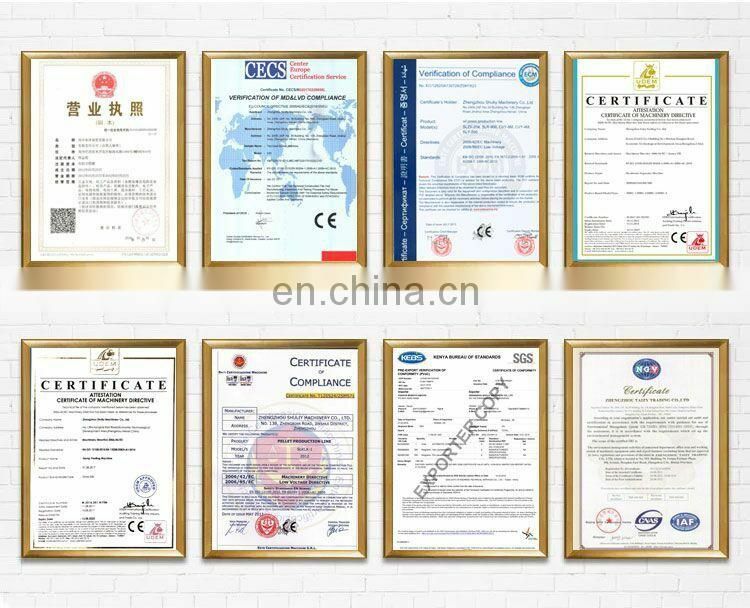 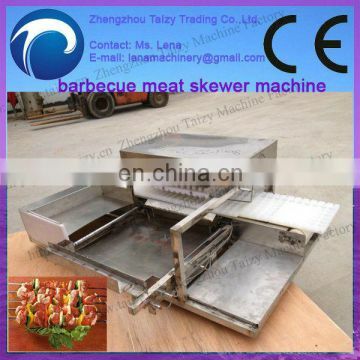 which is the ideal mechanical wear meat to replace manual. 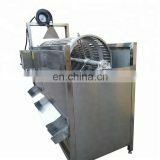 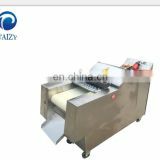 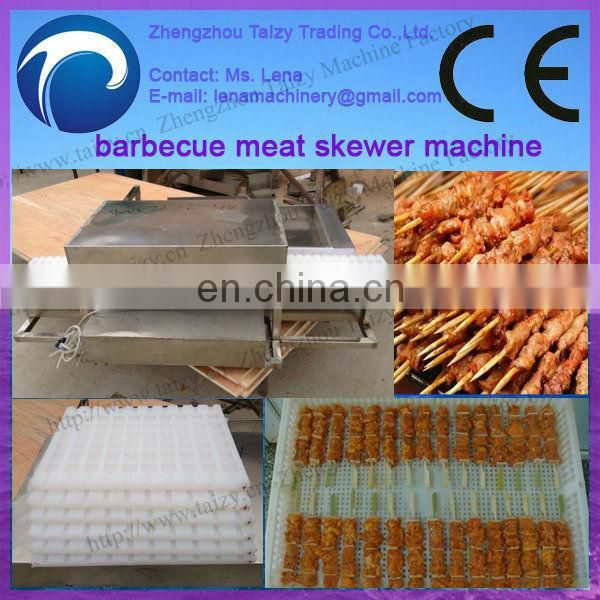 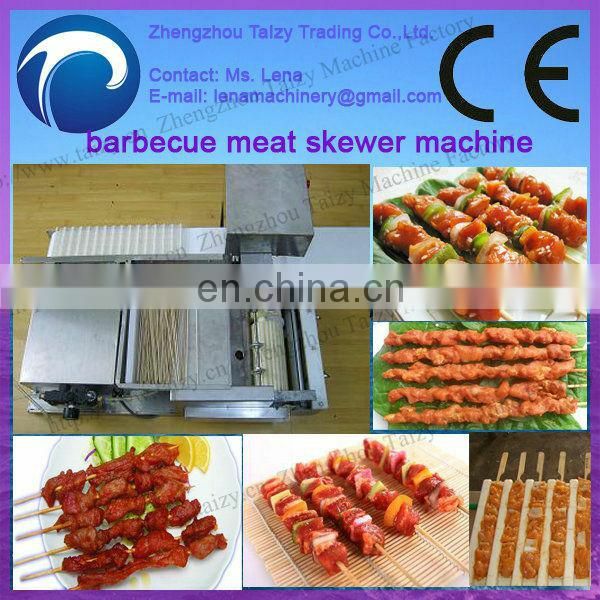 easy desktop manipulation mobile, small footprint, stable; layout is reasonably accurate, maintenance-free, long life; mobile PE the skewers mold board easy to clean; can be replaced to meet different user requirements. 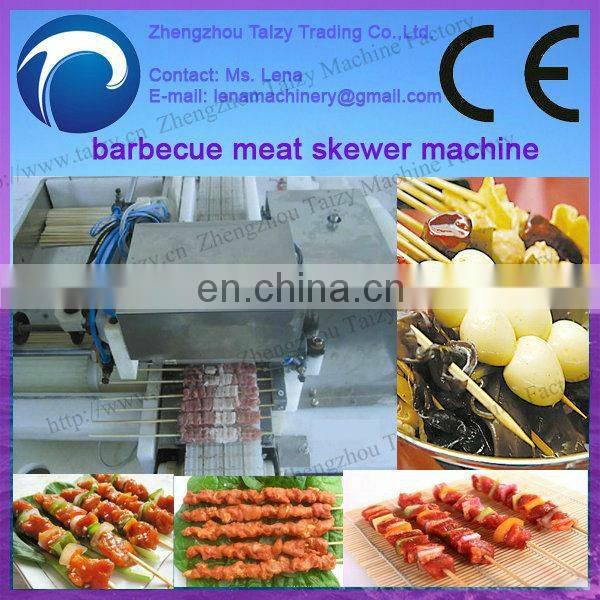 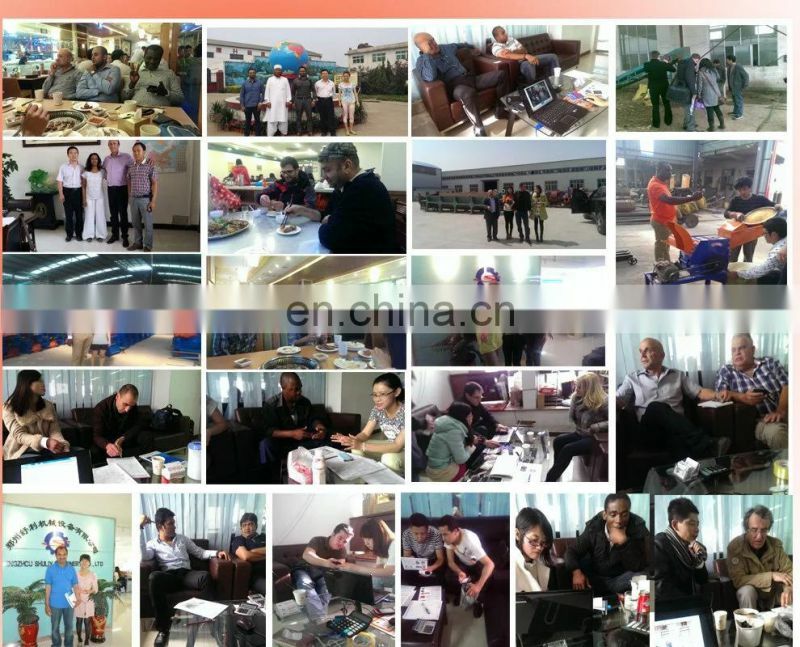 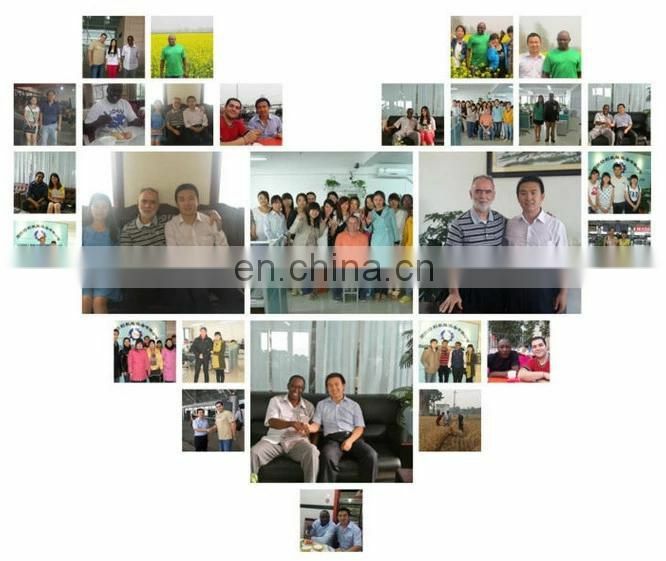 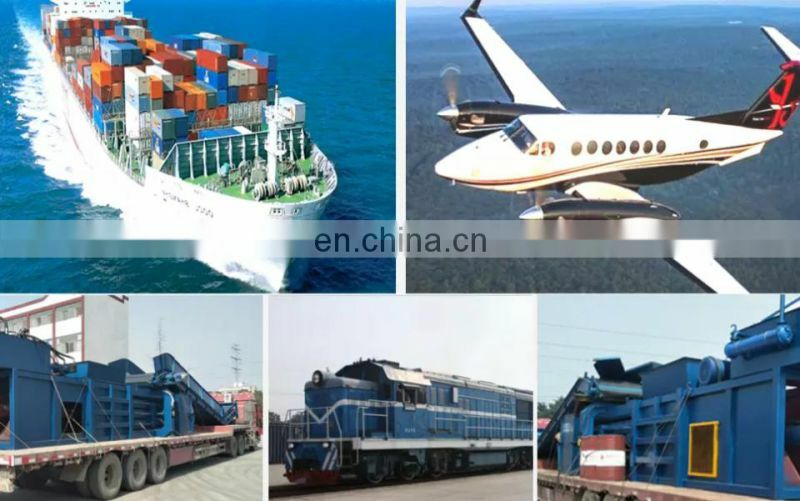 3.This function wear cattle, sheep, chicken skewers, Chicken Jane string, heart-shaped string, octopus, chunks of tofu, kelp knot and other products of string; wear out the string of uniform size, clean, rub, good taste.